Richard Barrett In his latest book, The Metrics of Human Consciousness, Richard delves into what consciousness is and how it can be quantified in order to significantly improve our individual, organizational, and societal performance. Is human consciousness something we can measure? What good would it do if we could? We chat about the different levels and stages of measurement and survival. Richard explains cultural entropy and how we can become value driven. Darren takes the Personal Value Assessment during the show. History has shown that the evolution of measurement is the key to the evolution of societies, something we take for granted since most of our measurements are already standardized. Richard Barrett believes that we are missing one very important standardized measurement– human consciousness. By creating psychological measurement technologies, Richard believes that we can change the conversation not just about what exists, but what we need to move to in order to resolve the current issues our global society is facing. Richard Barrett, Founder and Chairman of the Barrett Values Centre, is an internationally recongnised thought leader on values, culture and leadership in business and society. He is a Fellow of the World Business Academy, Member of the Wisdom Council of the Center for Integral Wisdom, Honorary Board Member of the Spirit of Humanity Forum, and Former Values Coordinator at the World Bank. His books include: Evolutionary Coaching (2014), The Values-Driven Organization (2013), What My Soul Told Me (2012), Love, Fear and the Destiny of Nations (2011) and The New Leadership Paradigm (2010). In the intro it’s just Darren and Graham with a couple synchro’s. 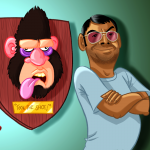 Thanks again to Darnell for help with our website, Jestin for doing our newsletter, and Napoleon for the episode art. Thanks for the voicemails and the feedback, and of course all the reviews. Don’t forget the remote viewing exercise. The coordinates are 2105 6611. The target is in present time…. jot down your impressions, sketches, thoughts and feelings and send them in by June 10 and we will talk about it in the episode released around June 12.